However, former employees of the Manse on Marsh testified that Christopher E. Skiff and facility staffers had daily meetings in which they discussed a “hot list” of prospective residents who had medical and other barriers to admission and created actions plans on how to get the individuals admitted. Employees testified that they expressed concern to Skiff over the now-deceased dementia patient being on the hot list, but shortly later, he was admitted anyway. Last July, the California Attorney General’s Office filed charges of involuntary manslaughter and elderly dependent abuse against Skiff, 54, and Gary Potts, 63. Skiff, the owner of Manse on Marsh, and Potts, a former employee, are accused of knowingly and willfully endangering Mauricio Edgar Cardenas, 65, and ultimately causing his death. Prosecutors allege that Manse on Marsh admitted Cardenas as a resident, even though he had a dementia diagnosis and the facility lacked a waiver to handle such patients. The Manse on Marsh has previously been cited several times for admitting residents for whom it was not licensed to provide care, and former employees have said there were numerous dementia-diagnoses residents at the facility. 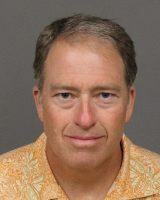 Skiff has been on trial in San Luis Obispo County Superior Court since Nov. 15. Potts is being tried separately. Prosecutors allege Skiff ordered Manse on Marsh staff to urge a doctor to reevaluate Cardenas, who was eventually admitted to the facility with a recorded primary diagnosis of mild cognitive impairment. The prosecution, which rested its case on Monday, called to the stand several former employees, who testified Skiff was very engaged in the operations of the facility and sales, as well as that he told a nurse to urge a doctor to change Cardenas’ dementia diagnosis. Skiff’s attorney, Robert Sanger, has argued Cardenas had mild cognitive impairment, not dementia, when he was admitted to the Manse on Marsh and that the facility was capable of caring for him with that diagnosis. Sanger has also argued the CHP and Department of Social Services did not find a crime or violation occurred in relation to Cardenas’ death and that the state DOJ got involved as a result of complaints by disgruntled former employees. On Tuesday, Skiff took the stand and testified that his staff’s concerns about a prospective resident would often go to Potts, his second in command, rather than to himself. Skiff said he personally approved the policy of not applying for a dementia care plan, and therefore not accepting dementia patients, but it was someone else who violated the policy. Skiff testified that he only learned of Cardenas’ dementia diagnosis after the man’s death. Skiff said he learned that Cardenas’ name was added to the hot list at the request of Cardenas’ family. Both Skiff and Potts face a maximum of eight years in prison if convicted of the charges they face.